Here's my 03 CBR600RR who I've named Christine. Just turned 30,000 miles the other night while riding 2up. I'm up to about 4,400 miles for the season! How many miles have you got on yours total and this year? A couple weeks ago. 1988... 50000km's. Last weekend changed the oil and noted 60,011 mi. My old lady's well past 55,000 miles. I'm over 66k on the f4i now. I'll snap a pic when its all 6's on the odo. I've only done about 5,000miles this year though. Had it since new in 07. 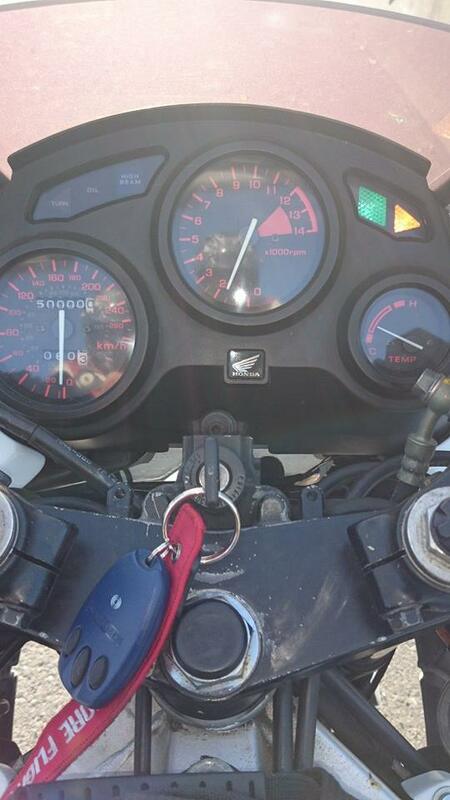 I just checked mine - 25,386 miles on my '08 1000RR. Just shy of 1,400 miles for the year. Mine is in a semi storage state for the next year or so and I'll probably only be riding it a couple of times per month, if that often. I'm training for a bicycling event in France next August and riding the CBR doesn't contribute to that goal. Where is Jared? He should have 300,000 at this point in the season! Lol. 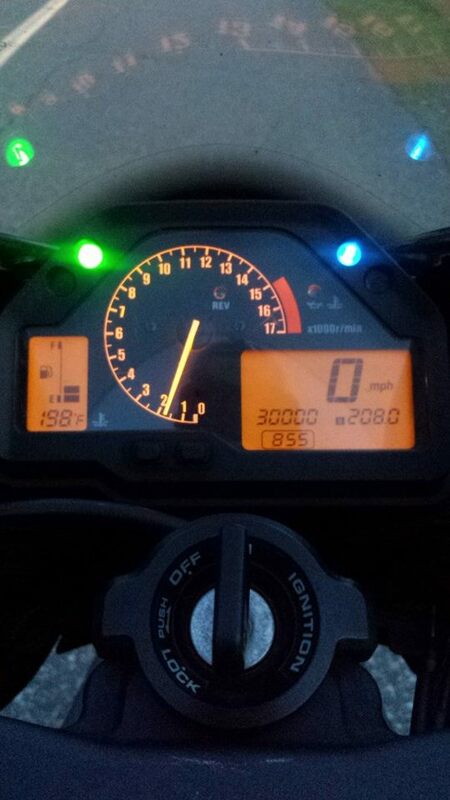 Quick Reply: My baby turned "30" the other night, how many miles on your CBR?